So it has happened again. 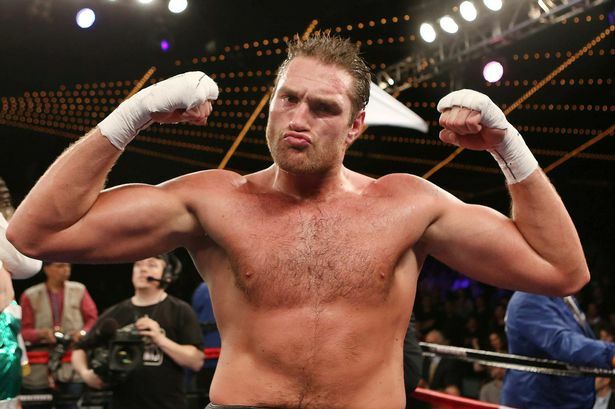 Tyson Fury is on the wrong end of the injury stick once again after seeing his mega domestic bout with David Haye cancelled twice and his slightly less mega domestic bout with Derek Chisora cancelled this week due to a hand injury to the rejuvenated Del Boy. Chisora is enjoying a bit of resurgence since being knocked out by David Haye. He has looked in very good shape recently and won 5 fights on the trot securing a fight with Fury as a means for both fighters to springboard to a world title shot. Chisora has long been able to mix it at world level but has never had the tools to actually win against the elite of his division. He has won his last 5 fights and Malik Scott and Kevin Johnson are at least recognised names but a fight with Fury would have been his major scalp and surely would have set him on way to take on a world champ, perhaps even Wladimir Klitschko himself. For Fury, he had already beaten Chisora convincingly in 2011. Back then neither fighter was in great shape but Fury had more than enough to win the bout through pure physicality. Fury has stalled since then and this latest injury setback for his opponent only further curtails him getting a big chance. To be honest he may have got off lightly. I fancied Chisora to shock Fury who is no stranger to getting hit by big shots and being floored. Fury will now get the chance instead to fight Alexander Ustinov who isn’t exactly at the cutting edge of the division but is no slouch. Ustinov has only 1 defeat on his record at the hands of Kubrat Pulev who is only behind Wladimir according to Ring Magazine. Both the IBF and WBA rate Ustinov and having watched him he has at least a sliver of hope against Fury. Tyson has claimed that he is going to take out his frustration on Ustinov and this potentially could end early if he follows up that promise. Normally it takes Fury a bit of time to warm up (especially recently when fighting Steve Cunningham) but I think Fury will win handily in spite of his obvious deficiencies. Whether this fight is a bust or not depends on whether Alexander Ustinov has been training well despite being rushed in last-minute. I’ll take Fury to win in the first 3 rounds.